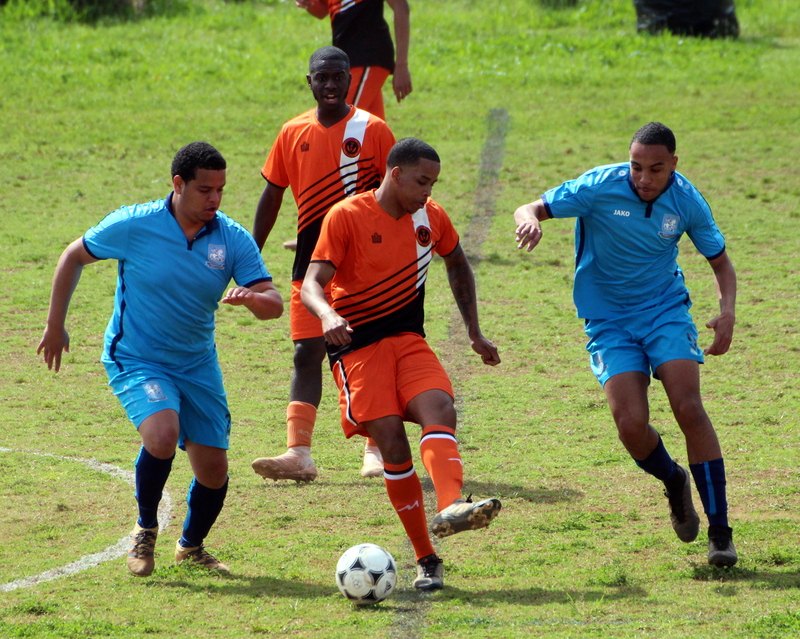 The St. George’s Colts travelled to the Police Field and came away with all three points as they defeated the Devonshire Colts 1 – 0 thanks to a 90th minute strike from Zeko Burgess. A goal in each half from Jarazhino Bassett earned the League Leaders Southampton Rangers a 2 – 0 win over Wolves at the Southampton Oval. The Somerset Eagles would pick up a 3 – 0 win over Young Men Social Club to set up that all important Title winning match on the final day of the season when they take on the Southampton Rangers. The Somerset Eagles would get single strikes from Tahj Wade, Ethan Fubler and Leo Burgess in their win at the White Hill Field. Ireland Rangers travelled to the Wellington Oval and came from 2 – 0 down to defeat St. David’s 3 – 2. St. David’s would get a goal from Kamali Davis and Justin Pitcher in the first half, but second half strikes from Chris Kawaley, Sakai Proctor and Rayquan Smith earned the visitors all three points. Vasco continue their late season surge as they picked up another win this time defeating Hamilton Parish 3 – 2 at the Wellington Oval. Vasco got goals from Ryan Parris, Fabio Barbosa and Ryan Lopes, while Jermiah Steede and Pedro Medeiros scored a goal each for Hamilton Parish.